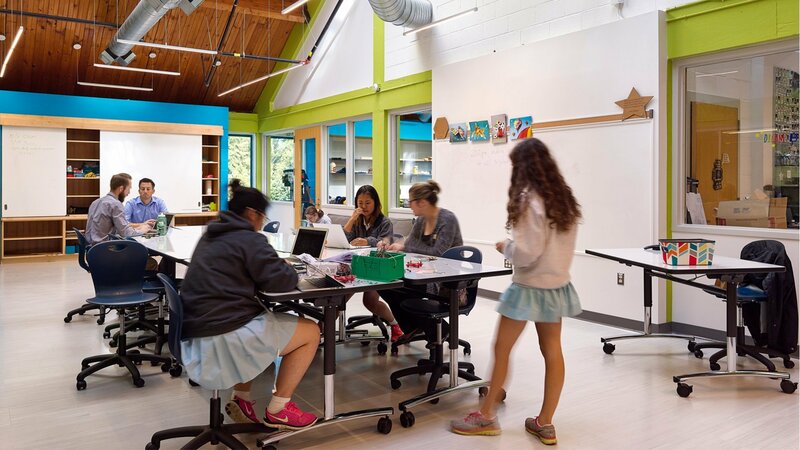 The Bryn Mawr School (BMS) believes that the creation of a cross-disciplinary Innovation Lab supports the recognition that students learn as much from hands-on experience and real-world challenges as from textbooks or computers. These experiences will help achieve equity and full participation for women in science, mathematics, engineering and technology. 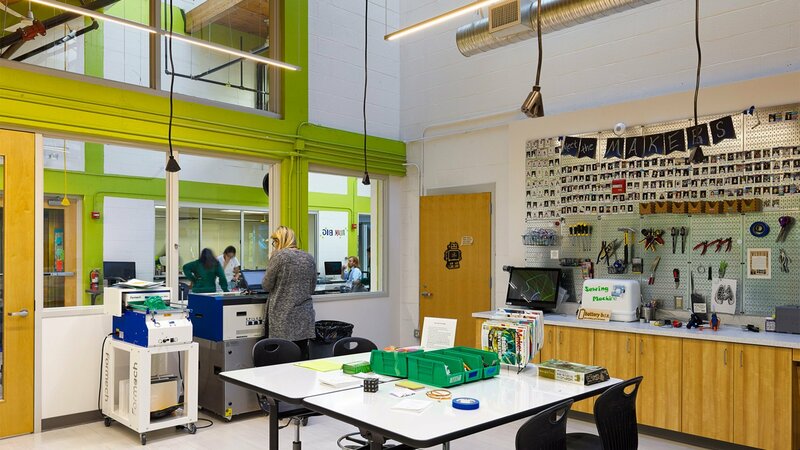 Hord Coplan Macht helped BMS evolve its previous “all-in-one” space into a “design-build-critique” suite of rooms with full-time dedicated staff. 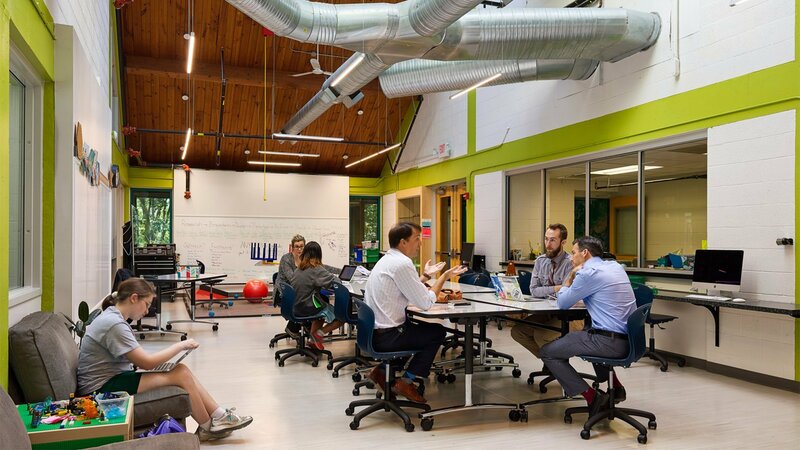 The project required the architects and interior designers at HCM to identify underutilized spaces on the campus, and quickly transform them into a hub of innovation and entrepreneurial study. 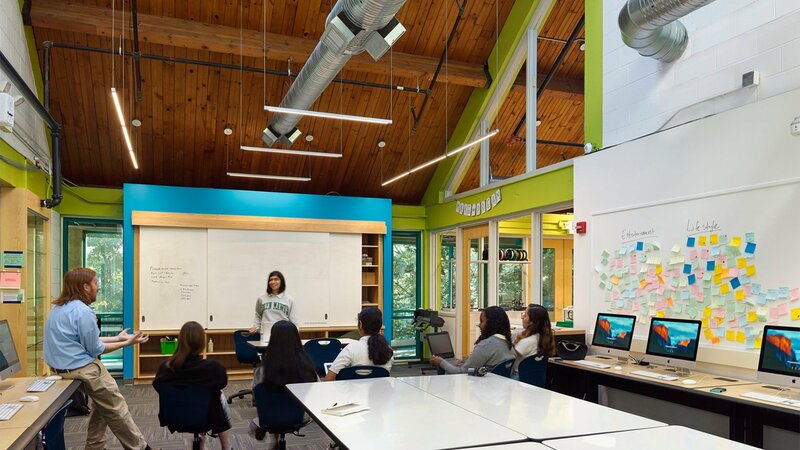 When thoughtfully planned and placed, transformative renovations can make a profound impact on an institution’s ability to meet the needs of its current students and attract new ones. 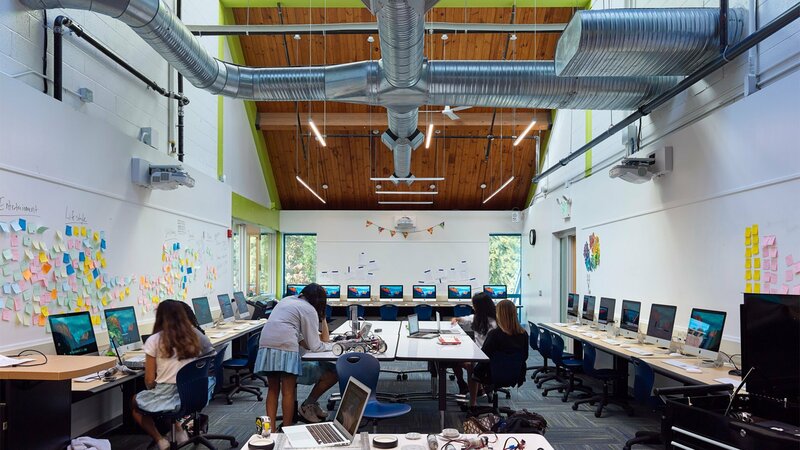 The project was completed over the course of Summer 2016 and opened in the Fall of 2016.